Homeowners are being warned to be extra vigilant this winter, as new research reveals that a home is burgled every four minutes in Britain. A study from four insurance firms, which analyses claims across the UK, found that there were 9,765 burglary claims made in November last year (2017). That equates to 325 break-ins each day, or approximately one every four minutes. In total, there were 438,971 reported burglaries countrywide in 2017, which works out at 1,202 every day, or one every minute. Although many Britons don’t even claim on home insurance due to nothing being stolen, or nothing of any value. Burglaries spike as the clocks go back, and a spokesman for Churchill Insurance said that November accounts for the most burglary insurance claims, with the figure being 37% higher than in the month of July. 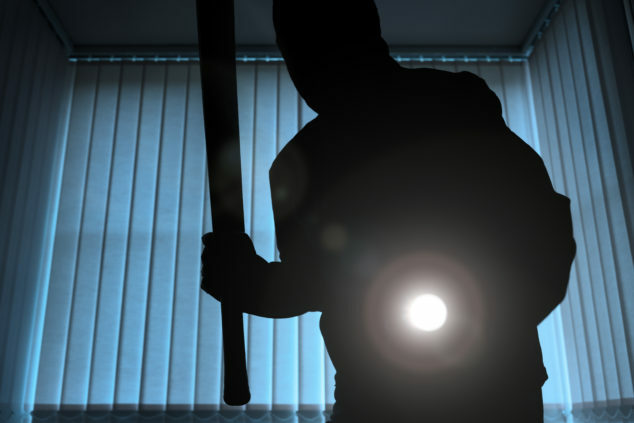 “As the dark nights return, insurance claims for burglaries increase, with one recorded approximately every four minutes throughout November,” he stated. “Each year, on average, there are nearly 10,000 burglary insurance claims made during November across the UK. Martin Scott, of Churchill home insurance, added: “This analysis highlights the importance of being extra vigilant as we approach the winter months, with burglars preferring to operate under the cover of darkness. “As the nights draw in, it’s important to take extra security precautions to make life as hard as possible for intruders, including; installing security lights, a home alarm system or smart doorbell so you can keep an eye on your home even when you are out and about.